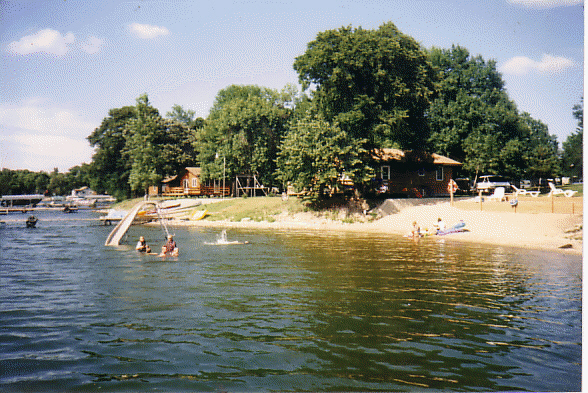 Shady Rest Resort provides a safe, secluded and private Minnesota family vacation. With nearly a mile long driveway, traffic is limited to only those that are our guest at the Resort. Our beach is clean and sandy with no drop-offs. 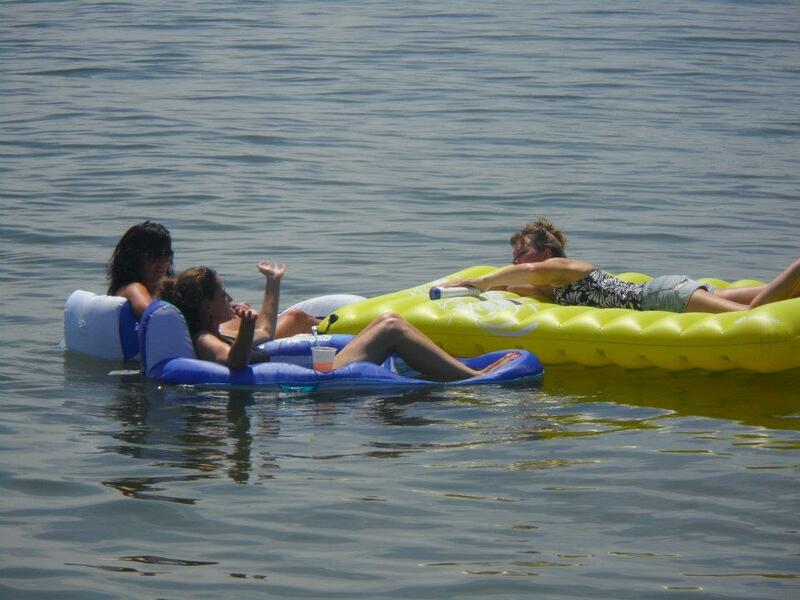 It features an "in water" slide, swim raft, and a sundeck that helps keep the sand off while you're soaking in the sun. Click here to see more pictures of the beach. 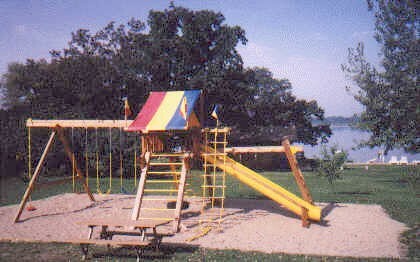 We have 2 playgrounds, One is our giant "Rainbow Playground" that the kids find hard to leave. How about a cruise around the lake. 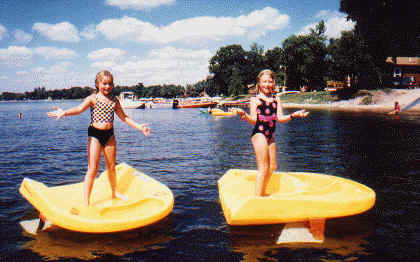 We have 4 pontoons for rent that would be perfect. 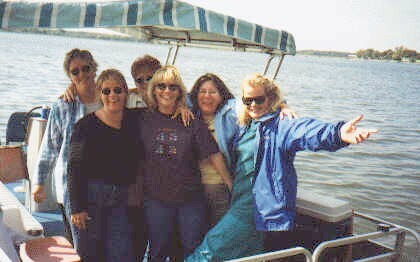 Or, if you would like a little exercise, take a ride in one of our paddle boats. At the end of the day you can make your campfire, roast some marshmallows, enjoy our great sunsets, and count the stars. 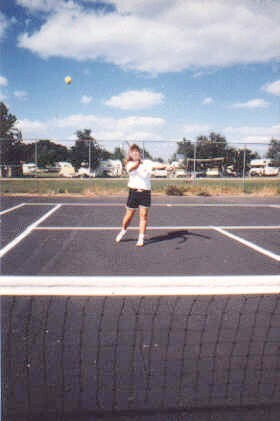 We also have 2 Tennis Courts just remodeled, 2 horseshoe pits, a volleyball, badminton, shuffleboard, bocce ball, and a basketball half court. Indoors we also have a game room that has a Pool Table, and Foosball along with a number of Video games. 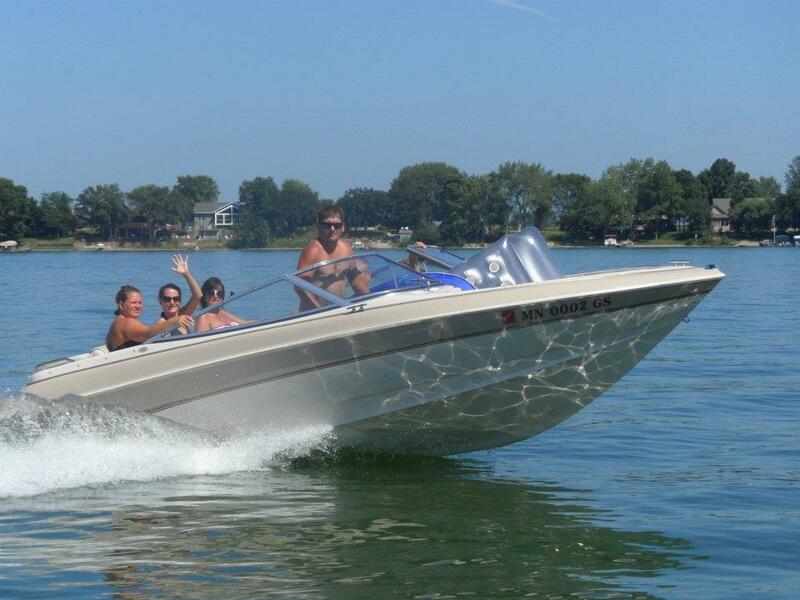 For Boat and Pontoon Rentals CLICK HERE! 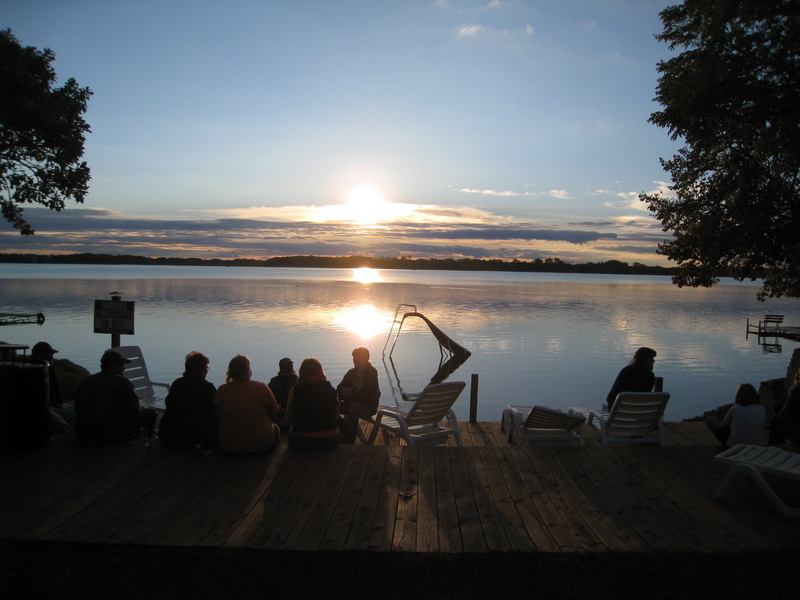 At Shady Rest, we believe that the family vacation should be about the family being together. All during the year, children are away from their parents...at school, daycare, after school events or off with their friends. At Shady Rest, we'll provide a great setting for parents to bond with their children. 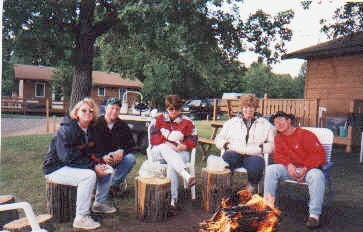 Whether it's, shooting some basketball, playing shuffleboard, going fishing or swimming together, visiting an area museum, taking a walk, or just sitting around a campfire at night roasting marshmallows, it's all about finding time to be together. 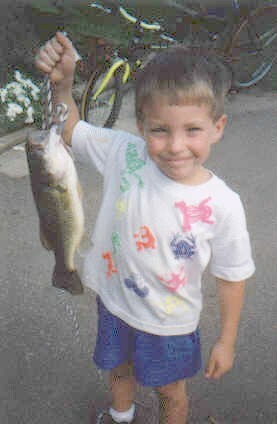 They grow up fast, let your stay at Shady Rest be among the times they remember. Everyone loves to relax on their vacation, but taking a little time to visit the local area is a must. 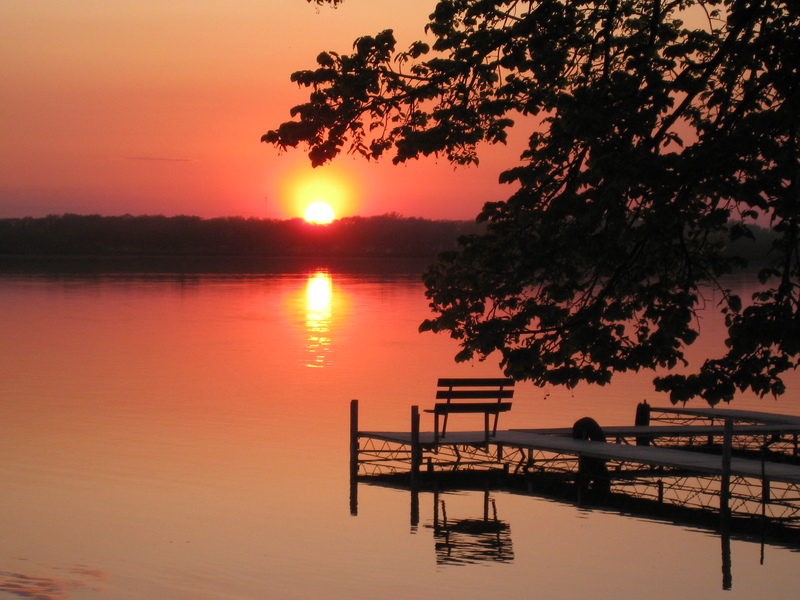 Not only is the Alex area famous for its' many lakes and great fishing, but how would you like to visit, what might be, the "Real" birth place of America! 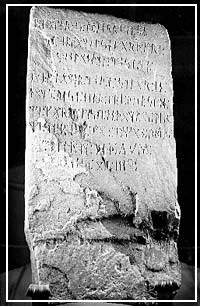 The Runestone Museum, in downtown Alex., has the actual Kensington Runestone that was found by an area farmer in 1878. 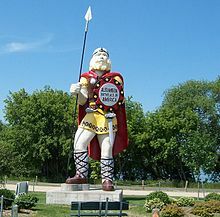 The inscriptions on the stone set the claim that the Vikings visited the Alex area over 100 years before Columbus! Learn the history of the Vikings and Norse adventures. There is also Fort Alexandria with its' log cabin, store, church, 1805 school house, caboose, and large agricultural exhibit. There is also a Native American exhibit filled with beautiful Ojibway and Dakota artifacts. If you're in a major shopping mood, we're only 2 hours from the Mall of America! A great day trip. Casinos are about 2 hours away also. Would you like to Golf? You'll find over a dozen golf course in the area providing some of the best golfing in Minnesota. Here are a few within 20 minutes of Shady Rest. Pezekee: In Glenwood-12 min. away- scenic and challenging-18 holes-one of the best. Minnewaska: In Glenwood-12 min. away-scenic overlooking Lake Minnewaska-18 holes-a fine course, well laid out. Rodina: 10 min away-9 hole, par 36-newer course-open design. Lynx: In Sauk Centre-17 min. away-nominated as one of the finest new public courses in America-18 hole-lynx design. Sauk Centre: In Sauk Centre- 20 min away-9 hole, I have not played it but it's another option. Graystone: In Sauk Centre-20 min. away- 18 hole Tom Lehman signature course-new-becoming an area favorite and one of mine. 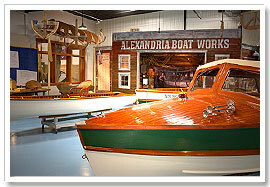 There are a bunch more in Alexandria that are not that much farther away and worth the drive. Dining: If you are tired of cooking and would like to have someone else do the work, there are plenty of good eateries to be found in the area. Shopping: Great shopping abounds in Glenwood and Alexandria. There you'll find Wal-Mart, Target, Shopco, Fleet Farm, Menards, The Viking Plaza Mall with shops like J.C.Penny, Dunhams and Herberger's, and the more than 50 antique and craft shops in downtown Alex. Car Racing: The Viking Speedway in Alexandria is a great track to watch racing every Saturday night. 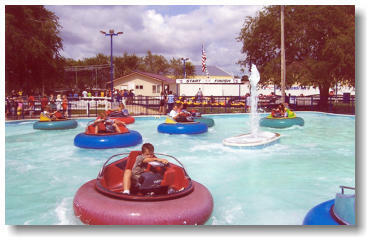 Casey's Amusement Park: Go Karts, Bumper Boats, Mini Golf, Batting Cages, More. Theatre L'Homme Dieu: Great summer theatre with performances like "Steel Magnolias", "Oklahoma", and "Dial M for Murder". Limited dates. There's also Erickson's petting Zoo, Bingo, Movie theaters, Bowling, Dancing, great Dinning, horseback riding, and great site seeing. Special events also happen like "Waterama" in Glenwood, "The Alexandria Band Festival"and Grape Stomp" in Alex and "Sinclair Lewis Days" in Sauk Centre.